STA has joined forces with the National Open Water Coaching Association (NOWCA) to create the UK’s first nationally accredited Open Water Swimming Coaching qualification. Recognised by the Government’s Qualifications and Credit Framework (QCF) at Level 2, the qualification gives swimming teachers, and aquatic and triathlon professionals the specialist skills needed to coach swimmers in an open water setting. 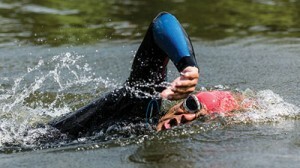 “Over the years, many swimming teachers and triathlon coaches have relied on teaching open water skills and techniques in the warmth of a swimming pool, but I know from personal experience that this is not as effective as coaching in a real outside water environment. Developed by NOWCA and accredited by STA as an internationally recognised awarding body, this new Level 2 qualification serves to professionalise and set the bar for open water swimming coaching. To be eligible, swimming teachers must hold a STA Award in Swimming Teaching or acceptable equivalent. Equally, swimming teachers keen to take the first step towards teaching open water swimming will be interested in the STA Level 1 Award for Pool to Open Water Swimming Coaching. The course has been specially designed to help teachers prepare individuals for open water swimming in a swimming pool setting. 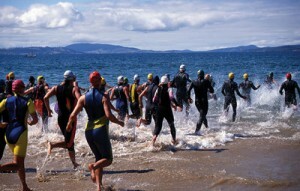 This includes everything from helping triathletes work on their stroke technique to showing individuals how to swim in a wetsuit and how to regulate their breathing. For further information please contact STA on 01922 645097 or visit www.sta.co.uk / www.nowca.org.